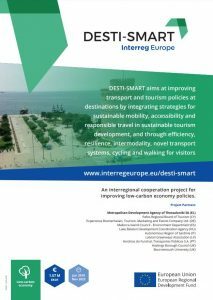 Desti-Smart is a project addressing challenges for efficient sustainable tourism while at the same time promoting a low-carbon economy. Local and regional public transport authorities are increasingly facing the challenge of making their travel sustainable, particularly in busy destinations with high tourism travel flows. Ten project partners, representing mass tourism destinations in South Europe, emerging tourism destinations, coastal, maritime and insular ones, form a working scheme promoting inter-regional cooperation for sustainable mobility, accessibility and low-carbon travel. 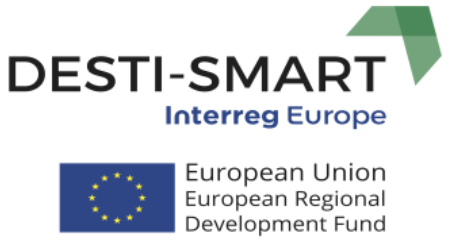 The project partnership aims to improve local and regional policy, identify best practices and better action plans which areas use to guide their desired emergence and recognition as a ‘Smart Destination’. A Smart Destination is a town or city where tourist behavioural data can be collected and analysed to improve both destination management and tourism satisfaction. Implementation of measures which are more sustainable and adaptable to people’s needs result in satisfied tourists. 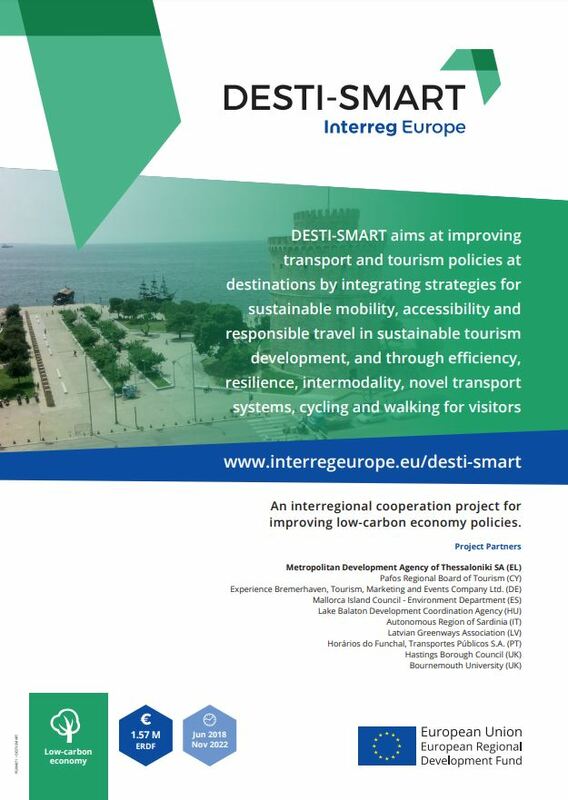 Desti-Smart’s objective is to improve the transport and tourism policies of EU destinations. The plan is to do this by integrating strategies for sustainable mobility, accessibility and responsible travel with efficient and sustainable tourism development through transition to a low-carbon economy.